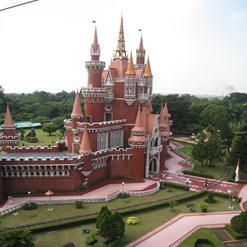 Pancasila Sakti or Magic Pancasila monument covers an area of nine-acre. This monument was built to remember the struggles of the revolutionary heroes who lost their lives to maintain the ideology of the state of the Republic of Indonesia. In the empty garden area, there is a hole of 12 meters deep which was used to dispose the bodies of the victims of G30S/PKI.